2016 Samsung Galaxy Note 7 Phablet, To Have an Iris Scanner? 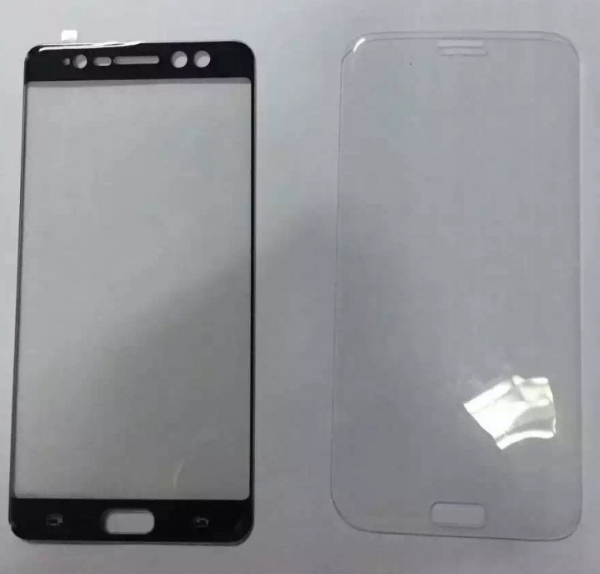 Apart from having an extra-large display, a stylus for drawing and jotting down notes on the capacitive glass touchscreen, and a sleek design identity reminiscent of the gorgeous Samsung Galaxy S7 Edge, the upcoming Samsung Galaxy Note 7 will have an additional feature that - I'm sure - the Korean Giant hopes would wow consumers. That's if we were to believe the recent collaborative article of serial gadget leaker OnLeaks and popular tech website Android Authority. Based on their claims, which aren't unfounded, the 2016 Samsung Galaxy Note 7 flagship phablet will have - get this - an Iris Scanner that will allow the user to unlock the device simply by facing the screen with his or her eyes open. Quoting Android Authority (source), "A recent patent application by Samsung showed how its iris scanner would work and suggested that three lenses would be required for accurate recognition, which we can see by the three circular holes at the top of the Note 7 (check photos). 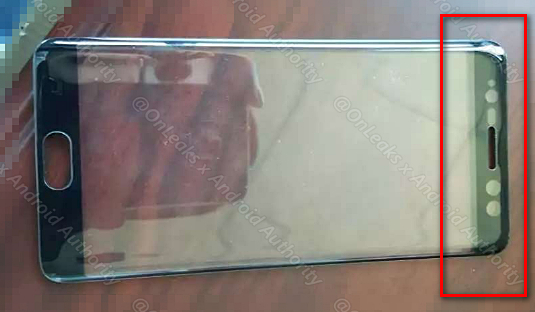 Considering that the iris scanner needs to be mounted above the display, the leak also reveals that Samsung is set to do-away with its logo on the front of the handset, in a bid to reduce the amount of bezel above the screen." Other leaked photos of the above-mentioned hardware part of the gadget seem to support the claim. "[The] series of lines and waves [in a person's iris] is highly complex. It generates randomly and doesn't change with time. Therefore, it is safe to say that every person's eye is unique. Even your left and right eye have their individual iris patterns! 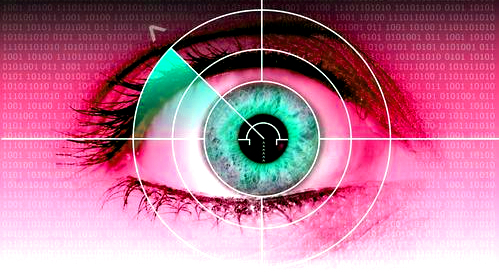 But an iris scanner doesn't just take a picture of your eye to compare against whatever it has on record. In actuality, the procedure starts with a beam of near-infrared light directed at the person's eye. This kind of light works better than visible light since it exposes the pattern of the iris much more clearly, thus making it easier for a camera to capture it. Besides, it allows the iris scanner to work in the dark. Prescription glasses and contact lenses (not colored!) do not block the beam either. Once the image has been recorded, an intelligent piece of software translates the iris' pattern into code. This code is then compared against a record in search of a match." While Samsung Galaxy Note 7's rumored Iris Scanner sounds pretty interesting, one should note that the Korean Giant won't be the first to make use of this technology on a smartphone -- if and when we actually see it on the device. Microsoft 950 XL, Fujitsu NX F-04G, Vivo X5 Pro, Alcatel Idol 3, and ZTE Grand S3 - which are still available in various territories around the world - all have an Iris Scanner for unlocking their interface -- although each utilize a different kind of technology for scanning and recognizing the user's eyes or iris patterns.